In of Health & Pharmaceuticals sectors, multimedia kiosks are the decisive step to ensure success and efficiency of organizations and companies, whether they are public or private. Health and pharmaceuticals sectors, public or private, over time, where equipped with the best technique, computerized machinery and the latest technology. In these sectors, multimedia kiosks and interactive information points are a key element in the continued innovation of organizations and their processes. The use of an multimedia kiosks or interactive points in these sectors is just another step in the innovation process. One of the features of multimedia kiosks in these sectors is the queues management. Since these sectors have public attendance services, in most cases with higher affluence, the effective management of queues (waiting lists) is essential for the proper functioning of such services. The multimedia kiosks (linked to queue management software) represented in this sectors one of the most important tools in recent years. 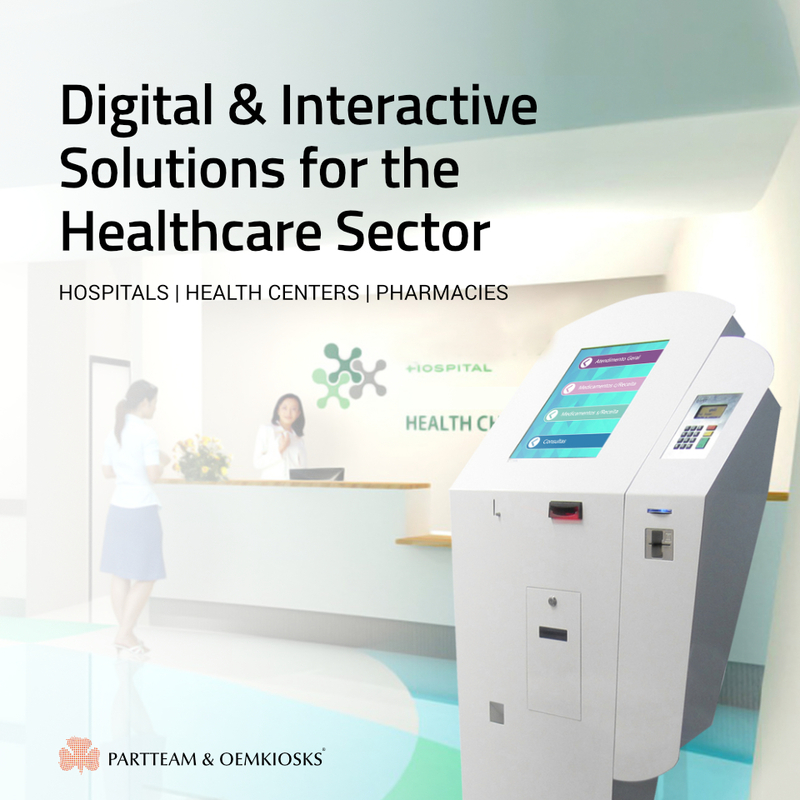 However, in the Health & Pharmaceuticals sectors, multimedia kiosks are fundamental work tools for doctors or nurses. Many services (eg within a large regional hospital) are linked by a computerized system to which medical personnel can access with magnetic card, that when introduced in a multimedia kiosk will gives access to all necessary information.